Shopping for a mattress in a brick-and-mortar store can be one of the most intimidating and confusing shopping experiences available. However, while online mattress shopping lacks the salesman, it can easily be just as confusing. 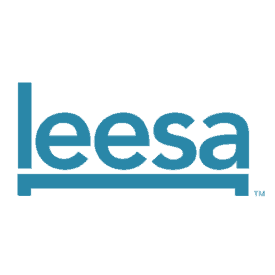 There are a litany of choices when it comes to purchasing a new mattress online. The following review compares four of the most popular and highly rated direct-to-consumer, online-only mattresses in a head-to-head battle royale. It’s a Casper vs. Leesa vs. Purple vs. Ghostbed mattress review. Which mattress will end up on top? Find out now! Can’t stand the wait? Click here to skip right ahead to the summary. Casper is a 9.5″ thick foam mattress. It is a combo foam mattress and the mattress is broken down into 4 layers. The top layer is 1.5″ of responsive poly foam. This acts as a comfort layer with a bit of bounce. The 2nd layer is 1.5″ of memory foam. This layer provides body contouring and pressure relief. The 3rd layer is 1.5″ of poly foam. 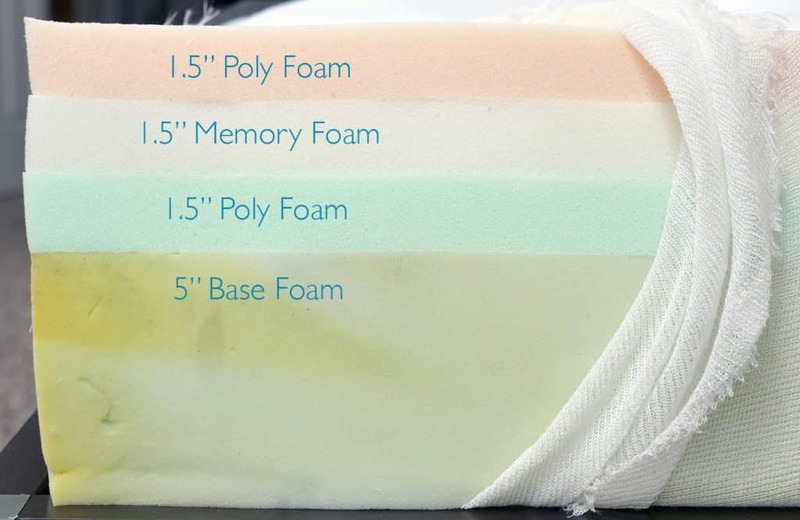 This poly foam is a support layer that helps to ease the transition from the memory foam to the foundation base foam. The bottom layer is 5″ of support foam. This support foam provides a foundation for the mattress as a whole, as well as providing support. The combination of all of these distinctly different foams creates a mattress with good cooling, bounce, and response time, without sacrificing contour and hug. Leesa is a 10″ thick foam mattress. This mattresses is a combo foam mattress as well with a construction that is broken down into 3 layers. The middle layer is 2″ of memory foam. This memory foam provides great pressure relief and body contouring. The bottom layer is 6″ of support foam. This layer acts as the foundational base, while also providing support for the mattress. The Leesa mattress has exceptional cooling, hug and support, providing the sleeper with an extremely rounded and balanced feel. 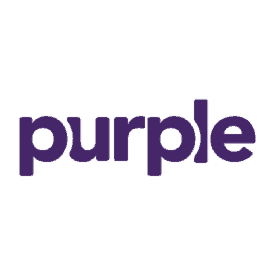 Purple is a 9.5″ thick foam mattress. 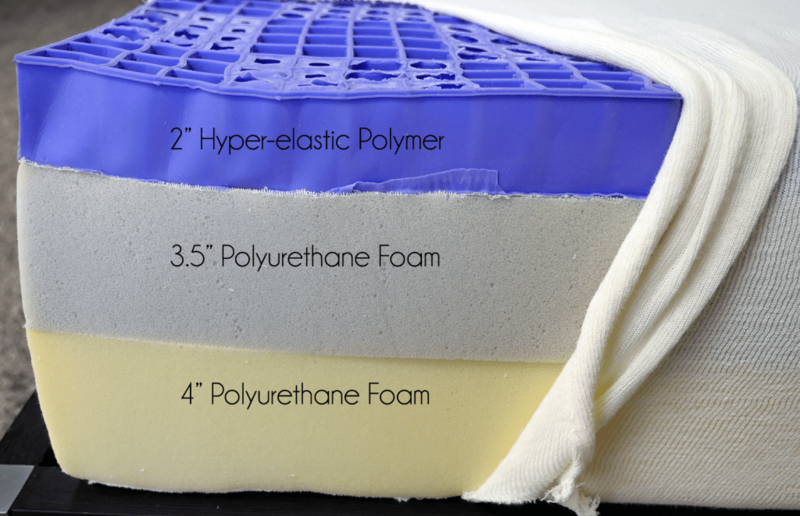 It is a combo mattress as well, but instead of strictly using foam, the Purple mattresses uses a hyper-elastic polymer and poly foam as a part of its 3 layer construction. The top layer is a 2″ hyper-elastic polymer that provides great bounce and pressure relief. The middle layer is 3.5″ of poly foam which serves as both a comfort foam and transitional foam between the polymer and the base support. The bottom layer is 4″ of support foam. This layer provides support for the 2 layers above and acts as a foundational base. The Purple mattress uses very unique layers, but the result is a mattress that has great cooling, bounce and instant response time. Ghostbed is an 11″ thick foam mattress. This is also a combo foam mattress that is broken down into 3 layers. The top layer is 1.5″ of aerated latex foam. This layer provides nice bounce and a faster response time than what you will get with an traditional memory foam alone. 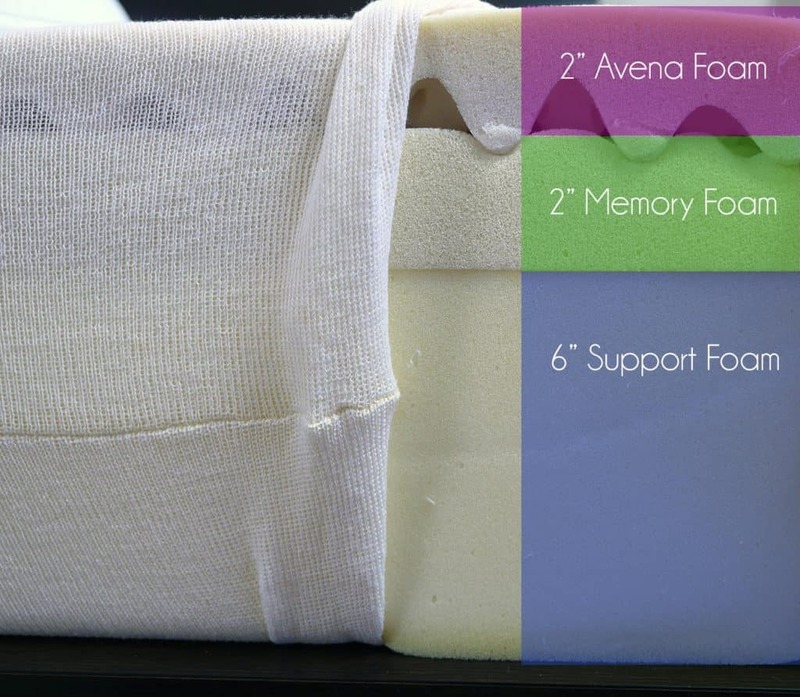 The 2nd layer is 2″ of gel memory foam for cooling, deep compression, hug, and contour. The gel is added in a liquid state and dispersed evenly throughout the foam. The bottom layer is 7.5″ of support foam. This bottom layer provides the strong foundation needed to support the foam layers above. The use of latex and gel memory foam provide a nice level of cooling, while the memory foam gives body contouring and pressure relief. 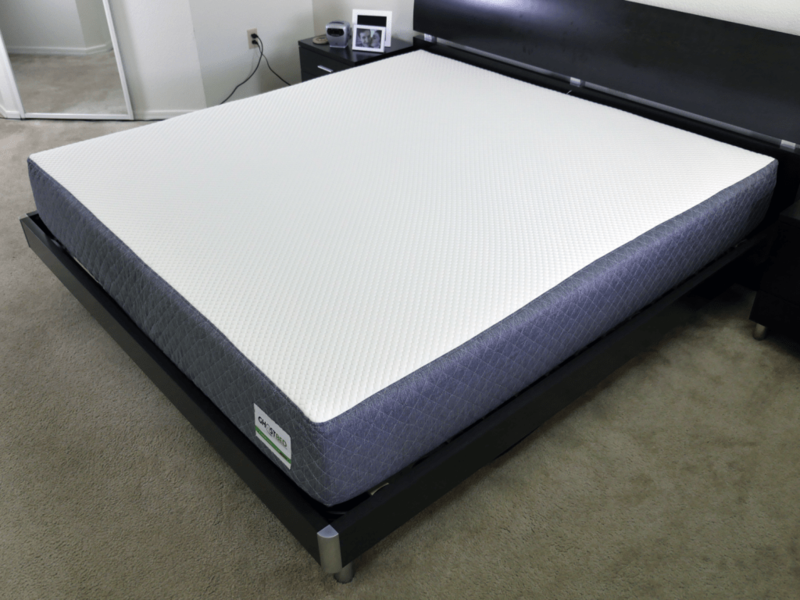 The use of memory foam and latex foam helps to create a balanced feel to the mattress. The Casper has a medium to slightly firm feel; 6-7 out of 10 on the firmness scale (where 10 is the most firm.) Casper’s top foams are relatively soft, creating a significant level of sinkage and hug. The softer top layers can cause the Casper to feel firmer for heavier sleepers, as the increased weight results in sleepers engaging more deeply with the firmer transitional poly foam and support poly foam layers. The Leesa mattress has a very balanced medium feel; 6 out of 10 on the firmness scale. The combination of Avena foam (great bounce and cooling) with memory foam (great hug and contour) results in a mattress that has an extremely balanced feel. The Purple mattress has a medium to medium firm feel; 6-6.5 out of 10 on the firmness scale. Purple has a unique feel, compared to the other mattresses in this comparison. The hyper-elastic polymer gives it a lot of bounce with a virtually instantaneous response time. Sleepers under 140 pounds may find this mattress to feel slightly firmer and offer more of a floating feel. This effect is subtle at the 140’ish weight range, but as sleepers get lighter the floating feel is increased. 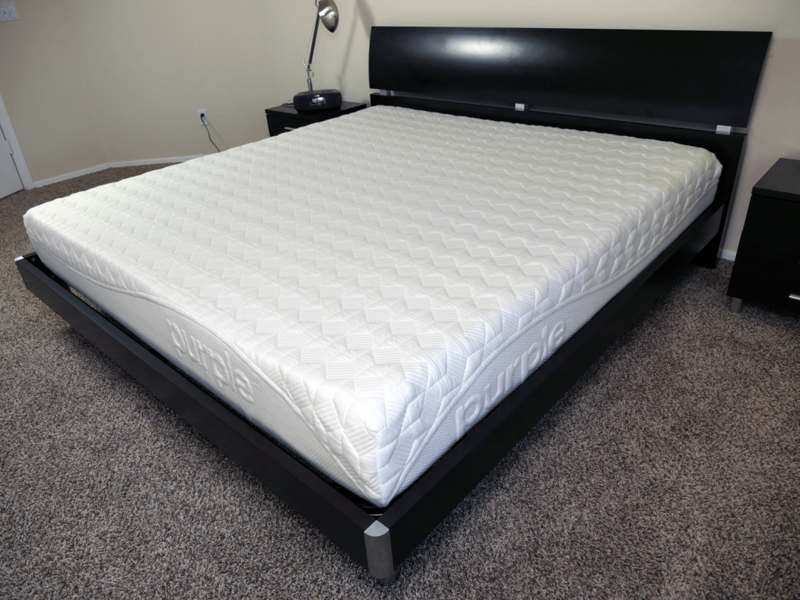 Very light sleepers (125 pounds or less) will need to enjoy a 6.5-7’ish firmness and prefer a floating feel. Sleepers within more average and heavier weight ranges will receive a more moderate hug, balanced feel, and medium firmness. 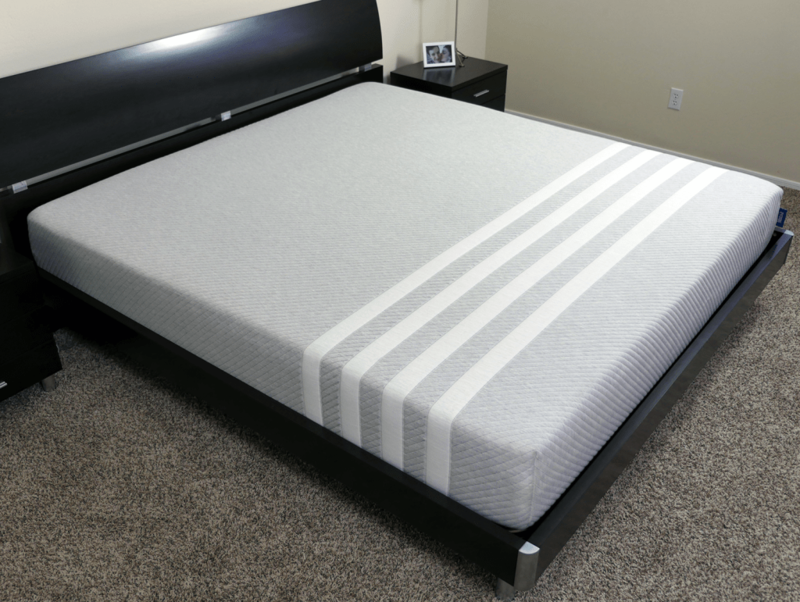 The Ghostbed mattress has a medium to slightly firm feel; 6.5-7 out of 10 on the firmness scale. 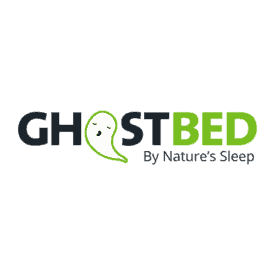 Ghostbed’s firmness is a bit more unique, in that it differs depending on how long you’ve been lying on the mattress. When I initially lay on it, I experienced about a 7 out of 10 firmness. 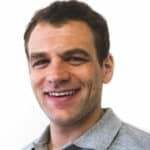 Once my body settled in a bit and I sank into that middle comfort memory foam layer, it began to feel softer. 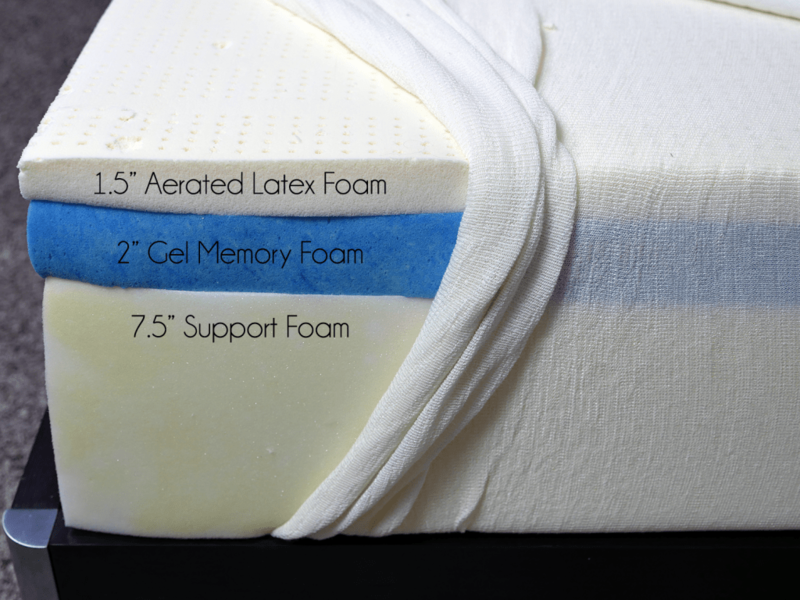 Despite the fact Ghostbed uses a top layer of latex it still leans more towards a memory foam feel, especially in how dense the mattress feel. The response is a bit slower, especially once your body has fully engaged the memory foam layer. Height 9.5" 10" 9.5" 11"
Should I Buy a Casper, Leesa, Purple, or Ghostbed mattress? All four of these mattresses are extremely popular and have a large consumer following. They represent universal comfort at a price many sleepers can afford. These mattresses are foam hybrids, meaning that they use a variety of foam types (and polymer, in Purple’s case) to provide a dynamic feel to the mattress. That said, there are significant differences between each of these 4 mattresses. This will likely make one of these choices a little bit better for your circumstances. So let’s just dive in. Is the Casper, Leesa, Purple, or Ghostbed mattress best for you? First, I think we can first break these mattresses down into two camps, all foam and elastic polymer + foam. When it comes to materials the Purple mattress is by far the most unique, using their patented hyper-elastic polymer top layer in coordination with with poly foam layers. The first question you then need to ask yourself is how important is the all foam feel to you? The all foam mattress designs of Casper, Leesa, and Ghostbed offer a more traditional design and feel compared to Purple’s polymer design. Purple’s feel is quite unique, offering faster response, more bounce, and a feel dynamic that is in some ways like an extreme latex feel. If a very fast response time is essential the Purple and Leesa are the best choices. 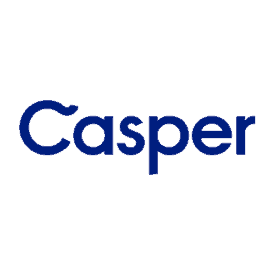 Casper isn’t a slow responding mattress by any means, but it is slower than Purple and slightly slower than Leesa (in my opinion). The Ghostbed is the slowest of these 4. This is because Ghostbed has a denser feel and a bit more of a memory foam feel. This isn’t to say this is a bad thing, but it certainly changes the feel dynamic of the Ghostbed. Third, sinkage, hug, and feel. This is a big one, so we’ll briefly discuss the feel dynamic of each mattress. If you need a more complete breakdown of what the Casper, Leesa, Purple, and Ghostbed feel like I would recommend reading my full mattress review on each of those (see links below) or continue down below to the feel summary. Should I buy a Casper mattress? Casper is an above average mattress. It has a firmness of a 6-7 out of 10. The sinkage and hug on the Casper is the most unique feel attribute. When you lie on the Casper, you feel the hug and contouring around your body. However, the contouring is not necessarily to the exact shape of your body, like what you would find with a traditional memory foam mattress. The contour is more generalized around your body, creating more of a bowl-like type of a hug. Should I buy a Leesa mattress? Out of these four mattresses, Leesa is the most well rounded, in my opinion. This mattress is a nice blend of varied foam types, which provides just the right amount of hug and sinkage while maintaining some bounce and nice cooling (through the use of the convoluted Avena foam and polyester-lycra cover). The memory foam layer below the Avena provides a nice level of contour, hug, and pressure relief. Should I buy a Purple mattress? Purple creates the most unique feel of any mattress being compared here. This mattress has great bounce, with minimal motion transfer and great cooling. With a firmness of 6-6.5 out of 10, the Purple mattress has a medium to medium firm feel. The unique polymer helps to displace your body weight, providing a rounder contour versus traditional foam. The polymer web design (as well as the thin cover) keeps the mattress quite cool at night, as well. Should I buy a Ghostbed mattress? Ghostbed has an interesting mattress feel, especially compared to these other choices. 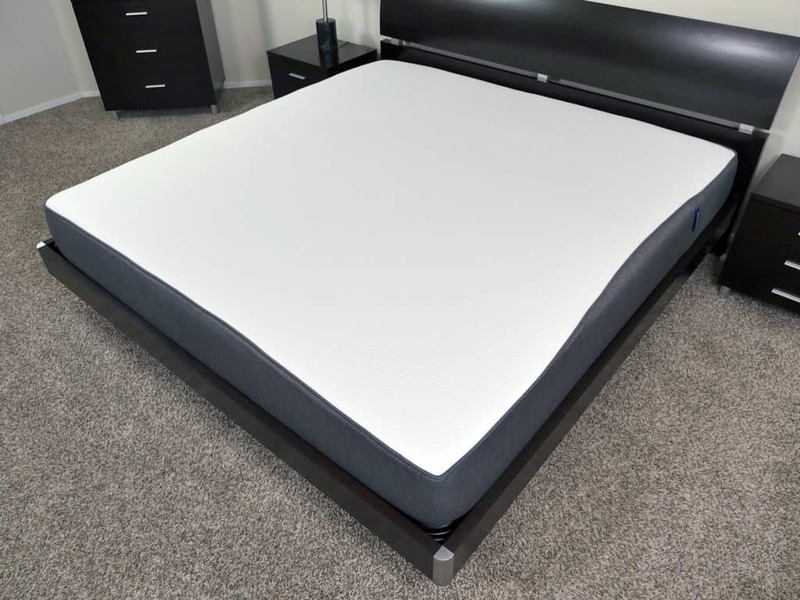 Despite the fact that Ghostbed’s mattress design is foam combo, using a layer of latex and memory foam, the feel leans more towards the memory foam layer. The Ghostbed has a slightly firmer feel and a denser feel. For lighter sleepers this level of push-back can be a bit much. However, for heavier sleepers the added push-back can be a benefit for support. Perhaps most importantly the Ghostbed has the slowest response of any of the mattresses we’ve compared here.